MINNEAPOLIS-ST. PAUL – Although it took longer than planned, the Boston Bruins have wrapped up second place in the Atlantic Division and will have the luxury of resting some players in preparation for a first-round playoff series against Toronto. The Bruins will play their final road game of the season when they wrap up a three-game trek at the Minnesota Wild tonight. ABOUT THE BRUINS (48-23-9): Brad Marchand reached a milestone after scoring one goal and setting up another, becoming the first Boston player to reach 100 points in a season since Joe Thornton in 2002-03. “It’s a special moment, and I owe it all to (linemates Patrice Bergeron and David Pastrnak) and obviously would not have done it without the group,” Marchand said. “I appreciate everything we’ve been able to do together. We’re having a lot of fun.” David Krejci has seven assists in his last five games and needs two points to match his career best of 73. ABOUT THE WILD (37-34-9): Zach Parise returned from a four-game injury absence to spark Tuesday’s win by scoring his team-leading 27th and 28th goals but there is a question of whether he will play in the final two games with nothing on the line. “If there’s anything wrong with him, we’re not going to risk him getting more hurt,” coach Bruce Boudreau said of Parise, who also has a team-best 61 points. Nico Sturm, signed on Monday after finishing his career at Clarkson, is expected to make his NHL debut if his visa issues are cleared up. 1. Pastrnak has six goals and 12 points in his last seven games. 2. Boudreau said backup G Alex Stalock likely will start one of the final two contests. 3. Bruins F Jake DeBrusk has four goals in his last four games to boost his season total to 27. OAKLAND – It took 23 innings for the Boston Red Sox to finally get on the board at Oakland Coliseum, but they’re hoping their final frame Wednesday is the beginning of a turnaround. Boston looks to build off a comeback victory when it visits the Oakland Athletics this afternoon for the finale of their four-game series. The defending World Series champions lost five of their first six games this season, including the first two of the set via shutout, and were blanked for four frames Wednesday before Blake Swihart homered in the fifth. Boston scored twice in the sixth to forge a tie before reigning American League MVP Mookie Betts snapped it in the ninth with a two-run double – a grounder that caromed off the third base bag and out of Matt Chapman’s reach. Mitch Moreland delivered a two-run double in the win and has hit safely in six straight contests after going 0-for-3 in the season opener. Oakland lost for just the second time in in seven games, allowing six runs in each defeat while yielding a total of three in the five victories. After a decent spring, Rodriguez struggled in his season debut as he surrendered six runs – five earned – on eight hits and three walks in 4 1/3 innings at Seattle. The 25-year-old Venezuelan, who registered 13 victories last season, threw 105 pitches without getting through five frames. Rodriguez has made four career starts against Oakland, going 2-1 with a 2.33 ERA. Anderson was superb in his season debut against the Los Angeles Angels on Saturday, scattering three hits over six scoreless innings. The 31-year-old Texan issued a pair of walks while registering four strikeouts en route to his 31st win as an Athletic while climbing within five games of .500 for his career (47-52). Anderson is 6-4 with a complete-game shutout and a 3.48 ERA in 11 career starts against Boston. 1. Betts has scored in four of his seven games this season but had just one RBI in six contests prior to Wednesday. 2. Oakland SS Marcus Semien has hit safely in eight of his first nine games this year but has gone six contests without an RBI. 3. Boston 1B Steve Pearce (calf) is expected to be activated from the injured list and make his season debut Thursday. 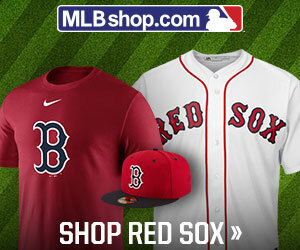 BOSTON – Hat’s Off to the Boston Red Sox and Jet Blue. As part of the club’s “Calling All Kids” effort to connect baseball to the next generation of fans, the Red Sox and JetBlue today distributed over 46,000 Red Sox baseball hats to Boston Public Schools (BPS) students and staff in 104 schools throughout the City of Boston. The distribution of hats was launched earlier today when Boston Mayor Walsh and Boston Public Schools Interim Superintendent Laura Perille joined Red Sox President and CEO Sam Kennedy, Former Red Sox Designated Hitter David Ortiz, Red Sox Foundation Board Member Linda Henry, and JetBlue Chief Commercial Officer Marty St. George at the Sarah Greenwood School in Dorchester. The group handed out hats to students and teachers and gave the children a chance to take photos with Wally the Green Monster and his sister Tessie. A total of 46,010 hats were delivered to students and teachers at all Kindergarten through 8th grade Boston Public Schools. The city-wide hat donation is part of a commitment by the Red Sox and JetBlue to engage with the Boston community each year for the duration of their partnership through 2030. OAKLAND – (Staff Report from Official News Release) – Prior to today’s game against the Oakland Athletics, the Boston Red Sox reinstated first baseman/outfielder Steve Pearce from the 10-day injured list. To make room for Pearce on the active 25-man roster, the club optioned first baseman/outfielder Sam Travis to Triple-A Pawtucket following last night’s game against the A’s. Pearce, 35, was placed on the injured list on March 28—retroactive to March 25—with a left calf strain, an injury he suffered in a spring training game against the Pittsburgh Pirates on March 17. Acquired by Boston from the Toronto Blue Jays on June 28, 2018, he hit .279 (38-for-136) with a .901 OPS in 50 regular season games with the Red Sox last season, then posted a 1.083 OPS in the Postseason en route to World Series MVP honors. Originally selected by Pittsburgh in the eighth round of the 2005 June Draft, Pearce has appeared in 737 major league games with the Pirates (2007-11), Orioles (2012, ’13-15, ’16), Yankees (2012), Astros (2012), Rays (2016), Blue Jays (2017-18), and Red Sox (2018). Travis, 25, made his first career Opening Day roster in 2019. He appeared in two of the Red Sox’ first seven games and went 2-for-7, making one start at first base and one as a designated hitter. OAKLAND – Mookie Betts broke a ninth-inning tie with a two-run double and Andrew Benintendi followed with an RBI triple Wednesday night, as the visiting Boston Red Sox finally got their high-powered offense rolling against the Oakland Athletics in a 6-3 win. Boston’s road win followed consecutive shutout losses by the Red Sox in the four-game series that concludes Thursday afternoon before the team moves on to Arizona for the Diamondbacks’ home opener Friday. After replay took away an apparent go-ahead run for the A’s in the last of the eighth, the Red Sox seized control in the top of the ninth against Oakland’s fifth pitcher, right-hander Fernando Rodney (0-1). Aided by a caught stealing on Eduardo Nunez, Rodney was one out away from a scoreless ninth before Blake Swihart and Jackie Bradley Jr. stroked consecutive singles. After both advanced on a wild pitch, Betts put Boston in front 5-3 with a full-count double to left field. Benintendi then greeted Yusmeiro Petit with a first-pitch triple to right field, extending the lead to three runs. Ryan Brasier hit Chad Pinder with a pitch to open the bottom of the ninth, but the Red Sox closer retired the next three batters in order to notch his first save of the season. Matt Barnes (1-0) got credit for the win after pitching 1 1/3 innings, including a scoreless eighth that featured a potential game-changing call reversal. The A’s appeared to have gone ahead 4-3 in the eighth, only to have replay reverse a safe call at first base, taking a run off the scoreboard. After review, Ramon Laureano was ruled out at first, the third out of the inning, after his grounder to Boston shortstop Brock Holt. Marcus Semien, who had singled, stolen second and taken third on a throwing error, raced home on the grounder, but to no avail. Shut out for the first 22 innings of the series and trailing 3-0, the Red Sox rallied into a 3-3 tie on the strength of a solo home run by Swihart in the fifth inning and a two-run uprising in the sixth. Swihart’s homer, off A’s starter Marco Estrada, was his first of the season. Estrada might have escaped the sixth inning unscathed if not for a throwing error by second baseman Jurickson Profar. Betts walked to open the inning. After Benintendi struck out, Rafael Devers hit a potential double play grounder to Profar, who threw wildly in his attempt to force Betts at second, putting two on with one out. After Estrada walked J.D. Martinez to load the bases, reliever Ryan Buchter served up a first-pitch, two-run double to Mitch Moreland, tying the game. J.B. Wendelken came on to preserve the tie, getting a pair of grounders. Laureano had a two-run homer, his second of the season, off Red Sox starter Nathan Eovaldi in the fourth inning to give Oakland its 3-0 lead. Nick Hundley’s bases-loaded infield single in the second inning opened the game’s scoring. Eovaldi was pulled after five innings, charged with three runs. He gave up four hits and four walks, striking out three. Only two of the three runs given up by Estrada were earned in his 5 1/3 innings. He limited the Red Sox to two hits, walked two and struck out three. Swihart had three hits for the Red Sox, who out-hit the A’s 9-5.